The snow is currently giving its best to cover Berlin in a muddy-white and the capital feels as wintry as it can be. 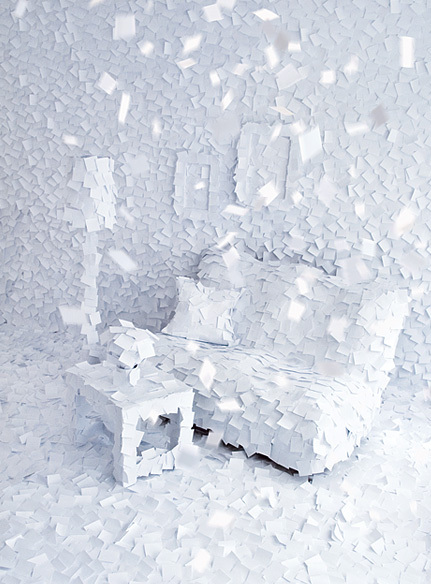 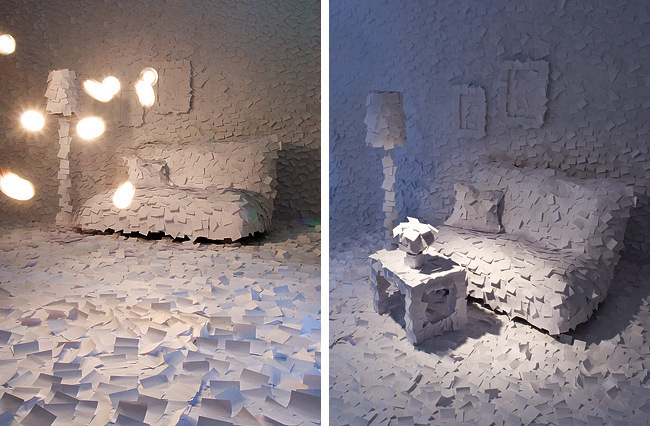 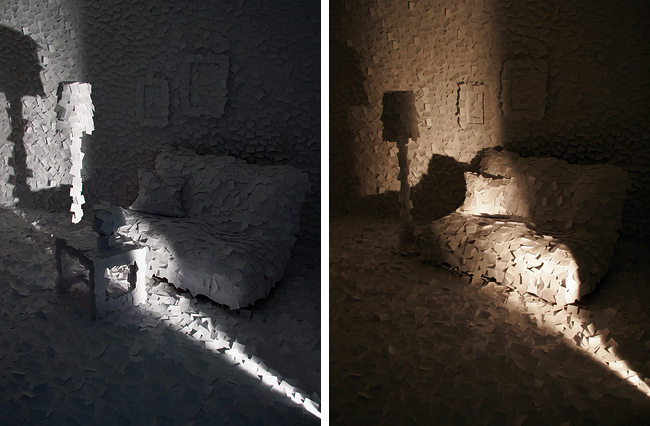 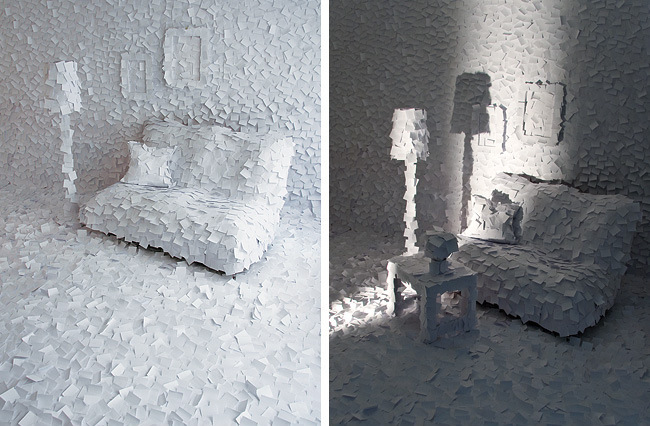 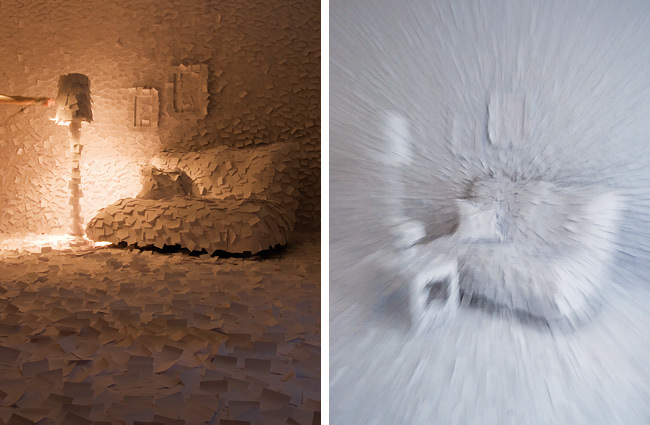 Matching the topic, we stumbled upon a project by Adrian Merz, who covered a whole room in little white Post-its. 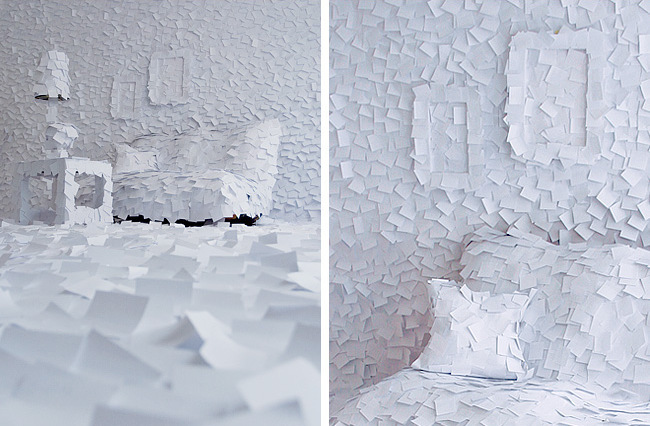 The little notes represent the fragments of memories, stories and feeling, telling personal stories that different people experienced during winter 1972.